This product is now included in the Pandora’s Box System. This membership program is only accessible through buying the Pandora's Box system. When you sign up for Pandora's Box you are given a free 14 day trial of this PhD program. 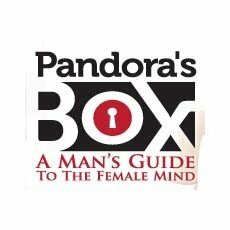 The role of the program is to provide supporting information, strategies, techniques, and an in-depth video analysis of the 8 types of women in the Pandora's Box system. A major feature of this program, in which you receive weekly updates over 32 weeks, are the video interviews you receive. In them Brian Burke interviews 8 different women, one from each of Pandora's Box System's personality types. These interview updates come once every 4 weeks (i.e. roughly once per month) while other updates in the form of additional ebooks with implementation details and strategies are updated monthly, or weekly. GRADUATION OF Pandora's Ph.D Program! Week #33: Surprise Bonus Product AND Certificate of Completion! One episode of video course each week of the program. Once per month you are given a bonus video, audio or PDF named Advanced Strategy. This P.h.D. program is free for 14 days after subscribing to Pandora's Box System. After the 14 day period you will be charged for $24.95 per week billed monthly ($99.8/month). "Definitely NOT value for money"
Vin DiCarlo and Brian Burke are not geniuses, but they have definitely revolutionized dating advice. The original Pandora's box system is by far the most unique, and practical approach to dating I have ever seen, but there are enough drawbacks to turn people away. -extremely expensive, the initial pandora system costs only $65, but while it is intriguing, it doesn't offer much help in terms of application. The PhD in Female Sexual Psychology is required to fully put it all into practice, but at $25 a week, for 32 weeks, it is definitely NOT value for money. -The PhD in Female Sexual Psychology is useful effective, but could be completed in no more than 8 weeks. Each week, you receive more videos on a certain woman of a particular "type". These videos are poorly constructed and are NOT worth $25 each. The only value in the "PhD" are the 8 step eBooks, that only come once every 4 weeks. -This isn't overly important, but there are dozens of careless spelling errors that generally detract from the professional image it is clearly trying to convey. Having said all that, the program is extremely useful. It really does give you a deeper understanding of the female mind, but it's nothing that can be learned overnight.